Compare 1 Nokia 3720 Classic sim free/unlocked mobile phone deals. The Nokia 3720 Classic tough phone is a durable handset that is built to last and tolerate rough and ready handling and the outdoor environment. It is water, dust and shock resistant with a high IP (International Protection) rating of 54. The styling is more minimal and rounded than some of its tough phone competitors but if you are a fan of Nokia phones and want some thing more durable then this may be the phone for you. It has all the basic features you need including a 2 mega-pixel camera, Bluetooth, email, MMS, microSD expansion, mini USB connectivity and Nokia Maps (compataible with external GPS receiver). All in all the Nokia 3720 Classic is a great addition to the mobile toiugh phone market which will meet many adventurers needs. 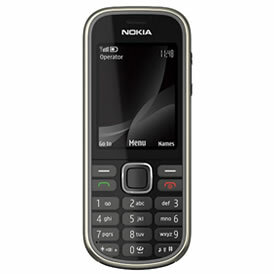 No one has yet rated the Nokia 3720 Classic. Click the link above and score it out of 5 based on how awesome you think it is. You can also leave a few comments or write your own review. Enter the code displayed above. Love it, hate it, need some help using it. Post your thoughts below. Copyright © 2006-2019 Power Up Technologies Limited. All pricing and tariff data for guidance only and may change without notice.